Ned Goodman, John Kaiser and Eric Sprott discuss "Strategies to Revive the Juniors"
Keep them talking about your event long after its finished. Here's how. Professional event planning. With 20+ years of event planning and project management expertise we know how to engage your audience, deliver the message and execute all the elements of your event. A live audience provides a fantastic opportunity to create a memorable impression. We handle the event details allowing you stay focused on your business priorities. No more boring events, meetings or conferences. We'll help you generate some buzz and excitement around your next event. Team of experts. We collaborate with the most knowledgeable experts in AV and video production, catering, decor, music and entertainment, guest speakers, graphic design and print production. Together, we’ll make your event worth talking about. Is your event under-performing ? We have the expertise to identify problems and find cost-effective solutions. We are adept in identifying sponsorship potential and can develop and grow a successful sponsorship program. We save you time and money. Excellent working relationships with venues and vendors means we can negotiate better rates for you. Our fees are affordable and we'll work with you and your budget. 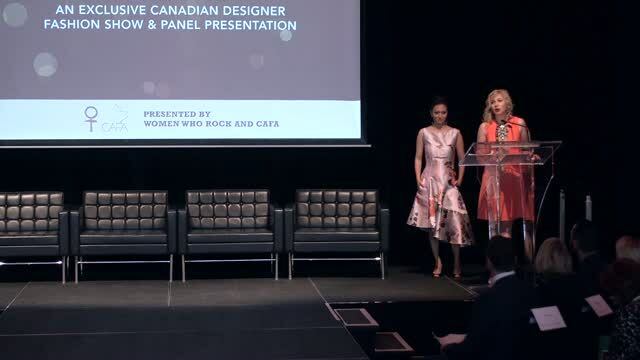 Women Who Rock: First Annual Auction for Action, October 27, 2014 from PENDA Productions on Vimeo.